London is a fantastic place to take in a classical concert, ballet, opera or any of the other wonderful performances that take place in the city’s spectacular concert halls. 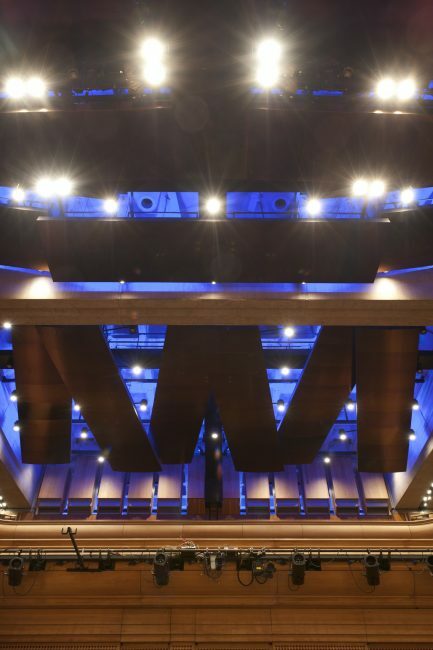 Check out our list for the best concert halls in the capital. This world-famous concert hall and arts venue has been hosting the very best of music from around the world and across the genres for decades. It’s part of the Southbank Centre, which includes the Hayward Gallery, Queen Elizabeth Hall and Purcell Room. Great acoustics and amazing acts in stunning surrounds. Known for hosting the Proms every summer since 1941, this 5,000 seat mega monument to Prince Albert really needs no introduction. As well as hosting the greatest performers the music world has to offer, it’s also a London landmark and a beautiful piece of architecture. Classical, rock and pop concerts, ballet, opera and film screenings with live orchestras, sports, award ceremonies, school and community events, charity performances and banquets, The RAH has seen it all. This is the largest performing arts centre of its kind in Europe, with The London Symphony Orchestra and the BBC Symphony Orchestra based in its concert hall. Mainly focusing on classical and contemporary music concerts, it also hosts theatre performances, film screenings and art exhibitions. It also boasts a library, three restaurants and a conservatory. This one’s for the real classical buffs. 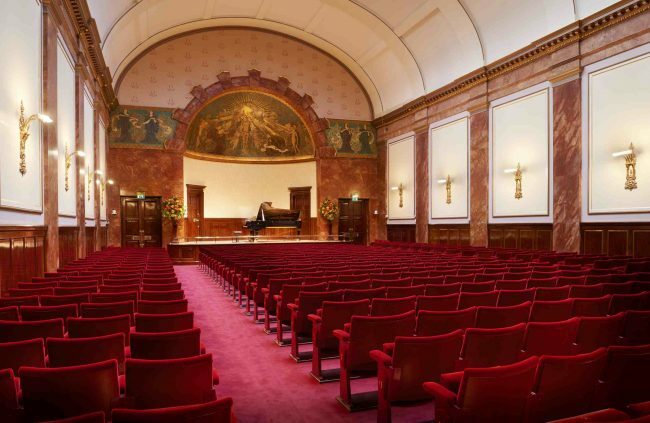 Wigmore Hall focuses on chamber music and song. If you know what that means, you’ll probably love it. It is famous for having some of the best acoustics in the world, so much so that BBC Radio 3 broadcast a weekly concert from the hall. A big-wig in the classical music game. This historic Anglican church is now run by the London Symphony Orchestra. The reverb filled airy space hosts classical performances from world-renowned musicians and composers. It’s a striking and peaceful setting in which to lose yourself in the greatest contemporary and ancient classical music the world has to offer. 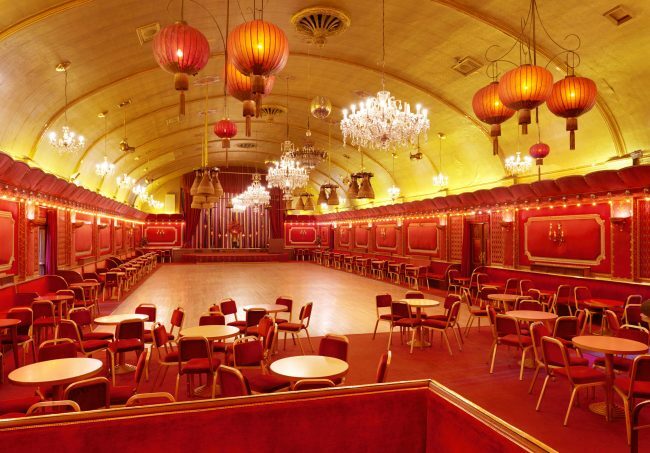 This historic gem has the unique boast of calling itself the only intact 1950s ballroom left in London. Well known for its décor, expect lashings of red velvet, flock wallpaper, chandeliers, glitter balls and oversized Chinese lanterns. As well as hosting dance and musical events, due to its striking interior, it is often used as a film location. Another one that needs no introduction, the Ally Pally has been a London institution since 1873. It has a rich history of entertainment used over the years by the BBC and as a theatre, music performance space, exhibition and conference hall. A true survivor. 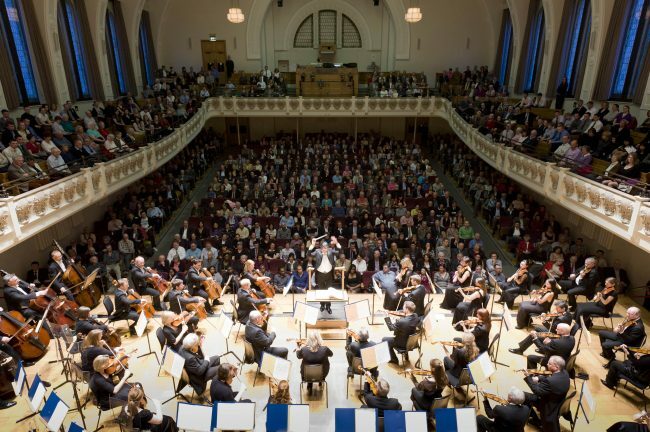 Chelsea’s hub of musical culture and the residence of the Royal Philharmonic Orchestra, the Cadogan Hall is used to showcase the best in classical music and is often used as a recording venue for top-end composers. The building is a spectacle in its own right with stunning stained glass windows. A real Sloane star. Call it what you will, The Eventim Apollo (otherwise known as the Hammersmith Apollo, or Hammersmith Odeon) is a London icon. Hosting all kinds of music and performances in Grade II listed surroundings, she’s one of the greats. Long may she live.